Hundreds of thousands attended Professor Ghulam Azam’s Janazah which was held after Dhuhr prayers at Baitul Mukarram Mosque in Dhaka. In a fitting tribute to the great leader and Islamic personality, the streets were filled with mourners attending to pay their last respects. The funeral procession and prayers were all conducted peacefully and without incident, despite a heavy police presence. The indignity and hardship of his last years due to the illegal and politically motivated trial conducted by the Awami League government can never be forgotten. The family have found comfort in knowing he was honoured in death with something akin to a state funeral and a dignified burial beside his father in the family graveyard. May Allah accept good deeds and sacrifice in the service of Islam and Bangladesh. His Janazah was led by his son, former Brigadier General Amaan Azmi. He also gave a powerful speech to the crowd which moved many listeners to tears, speaking of his father’s sincere love for Islam and his hope that many more will continue to be inspired by him. The family are particularly indebted to Amaan for providing constant support to his parents in the face of unrelenting pressure from the government and media. In addition to the main Janazah prayer, many more thousands attended funerals in absentia which were performed all over Bangladesh and in many other countries around the world on Friday and Saturday. Prayers were led by the eminent scholar, Sheikh Yusuf Al-Qaradawi in Doha, Qatar and in the UK, USA, Finland,Turkey, Malaysia, Saudi Arabia, Pakistan and India. He was particularly revered in Turkey as a close friend of the former Turkish premier, Necmettin Erbakan, and his death was reported as front page news by a national newspaper, as well as by many Turkish supporters on Twitter. We continue to uphold Ghulam Azam’s innocence and to denounce the International Crimes Tribunal which has led to the wrongful arrest and imprisonment of opposition leaders in Bangladesh. We have no doubt that the trial failed in its aim to provide justice for those who suffered in 1971 and has victimised those who politically opposed independence. Our prayers are with those who remain in custody and with the family of Abdul Quader Mollah. It is with great sadness that we inform you of the death of Professor Azam who passed away on the day of Jumuah after a lifetime of sacrifice and dedication to his Lord and Islam. Inna lillah wa inna ilayhi rajiun.The date is October 23 2014. He is survived by his wife, 6 sons and his grandchildren and great grandchildren. May Allah, the Lord of the worlds, accept him as Shaheed. May his many good deeds and exceptional sacrifices be accepted. May those who oppressed him face justice. May he enter an enlightened grave and the highest paradise. May his wife and family meet him there. Ameen. We seek your prayers that the family are able to give Prof Azam a dignified burial and to see him and pay their respects. We fear that those who have oppressed him in life will seek to prevent this from happening. We request all Professor Azam’s well wishers to observe his passing with fortitude, dignity and patience. 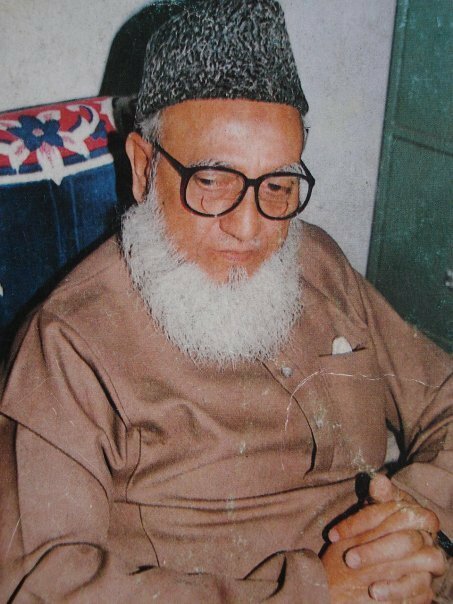 Professor Azam was a man of peace and love for his Lord. Please grieve as he is worthy of being grieved. We expect the government to respect people’s democratic right to peacefully grieve and protest the injustice that has been subjected on this righteous leader. A new Medical Board which was formed sat in the morning. 1. Treatment for ‘renal failure’ started yesterday. Since his kidney wasn’t in bad condition before, under standard conditions it is usually reversible. However, due to his age and other ailments it is uncertain. 2. He also has ‘enlarged prostate’. 3. There are problems with his heart too. 1. He is extremely weak and can’t move his limbs. 2. Tries to talk, but no sound. It sounds like ‘whispering’. 3. Previous other problems still exist. Prayer of millions around the world will isA help him completely recover soon. Prof Azam has been diagnosed with renal failure and acute dehydration this evening. He has been transferred to the Critical Care Unit due to his poor health. Please continue in your prayers for him. “O Lord of the people, remove this pain and cure it, You are the one who cures and there is no one besides You who can cure, grant such a cure that no illness remains”. “Ayesha (R.A.) stated that when Prophet Mohammad (SAW.) was ill, he used to recite the four Quls, blow on his hands and pass them over on the back and front. He also recited these surahs, blew on his hands and passed them over his body during his fatal illness”.